Allows capturing screenshot at the current internal resolution (native for software renderer), but a setting is available to capture it in other resolutions (the internal resolution won't be changed, instead the image captured is upscaled/downscaled). The screenshot is saved to a single PNG in the current layout. 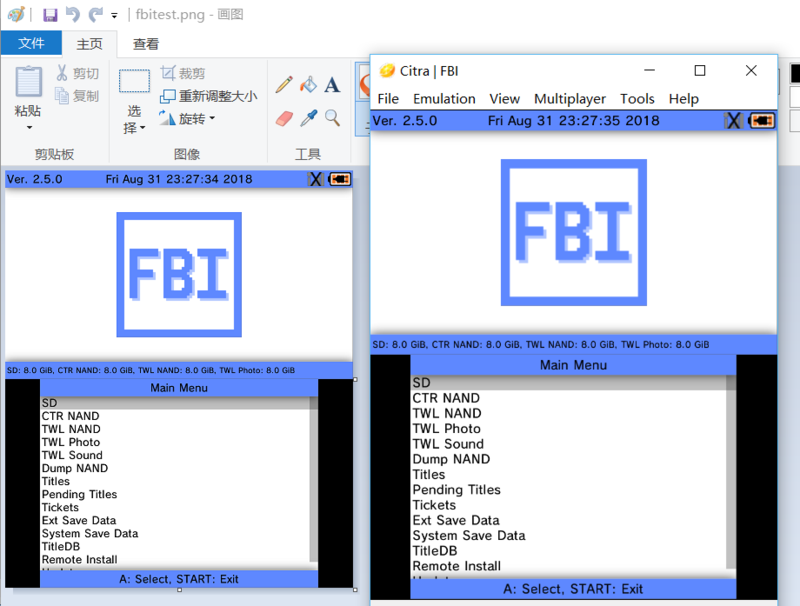 Examples of captured images can be found in the #screenshots-videos channel in Citra discord (they were captured with an older version of the code, but I have confirmed the result is the same). This is one of them. A menu action is added to the Movie menu (I believe this is the most suitable place) as well as a hotkey. The hotkey is bound to Ctrl+S by default. I have just started to learn GL stuff, and there may be easier ways to achieve what I'm doing in renderer_opengl.cpp. If that's the case, please point it out. Thanks! As for every UI change, can you please provide a screenshot for every changed dialog/setting? @FearlessTobi huh.. I didn't think it was necessary as it is just a simple menu action. But fine :P added it to the description. Can I suggest renaming the Movie option to something more general? "Capture"? Not sure I like the upscaling/downscaling thing. @j-selby "Capture" does not sound so good... I cannot think of a better one right now though. Also, the setting does not exist in the UI as I think it would cause confusion if the image captured became pixelated due to upscaling. Normally the image captured would just be at the internal resolution. TBH I don't think screenshot should be a sub-option of movie. "Movies" in emulators are known to be input-recordings. And IMO screenshots have not very much in common with such movies. Maybe do what @jroweboy suggested. Make a option tools and inside tools there is the movie submenu and the screenshot function? Game is not resumed if you cancel the dialog. edit: ignore this issue, the color seems to be different now. Color looks correct to me. I believe the blue one was correct? The issue @valentinvanelslande has is probably with the image viewer on linux which does some "color correction". I had the same issue on ubuntu. I didn't make a full review but doesn't that introduce some potential race conditions between the qt_thread and the emulation (video-core) thread? 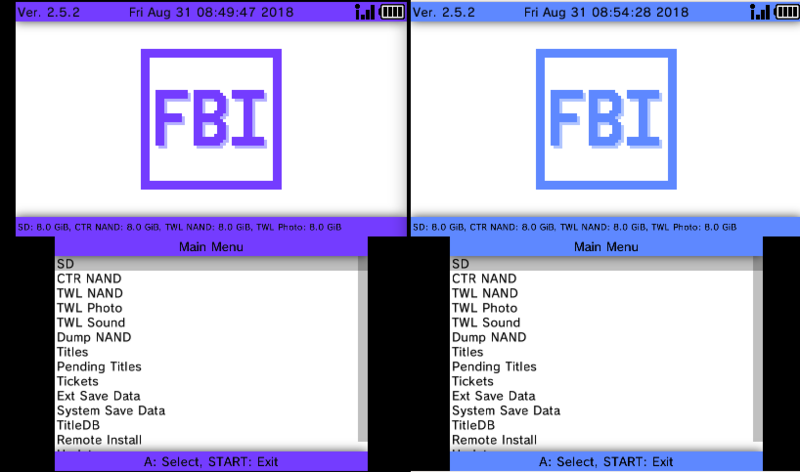 @B3n30 qt thread only sends a request to emu thread (done by an atomic bit) and the real capture-and-save operation is done entirely in the emu thread. Does this need to be an error? Isn't a warning more appropriate here? Not sure about that. IMO this should be an error, as a user request is ignored. I noticed Ctrl + S is the same hotkey for Toggle Status Bar. Oh wait, I still need to change the hotkey. A minor request: How about an option to set a resolution specific to screenshot captures? For me, setting the internal resolution to 10x makes the game run a bit slow, and setting it just for hi-res screenshots, and then back to the previous setting for regular usage, can get pretty tiresome. I'm thinking of having the resolution list shown when hovering over Capture Screenshot. there's already a config entry for it. I can add that to the UI if it's needed. Allows capturing screenshot at the current internal resolution (native for software renderer), but a setting is available to capture it in other resolutions. The screenshot is saved to a single PNG in the current layout. Also made Movie a sub-menu of Tools. Added resolution selection and changed hotkey to CTRL+P. This option seems to only change capture resolution but not rendering resolution. Sorry, due to technical reasons this is actually harder than it sounds and would require dirty hacks currently. I have dropped the last commit. People are welcome to reinvent it in the future when this becomes easier. PR should be good to merge now. I understood, this option is actually not really necessary, people can change rendering resolution in graphics configure manually. Thanks your attempt anyway. Port citra-emu/citra#4164: "citra_qt, video_core: Screenshot functionality"